Credit cards are seen as evil by many in the personal finance arena. And I agree they can be absolutely devastating to someone who doesn’t know how to use them. However, credit cards are just a tool. They’re like a sledgehammer. When used correctly they get a lot of work done very efficiently. But in the hands of someone who isn’t careful, it’ll bust your shins wide open and leave you hurting for a long time. I don’t want my shins busted, and I don’t want yours busted either. I want to help you understand how credit cards work and how you can use them to your advantage. They provide a lot of benefits if used correctly. Just this year my wife and I have been able to use the extra cash we’ve picked up from credit cards to buy an HD TV, new vacuum, and vanity table! If you’re committed to being financially disciplined, you can use credit cards to your advantage. 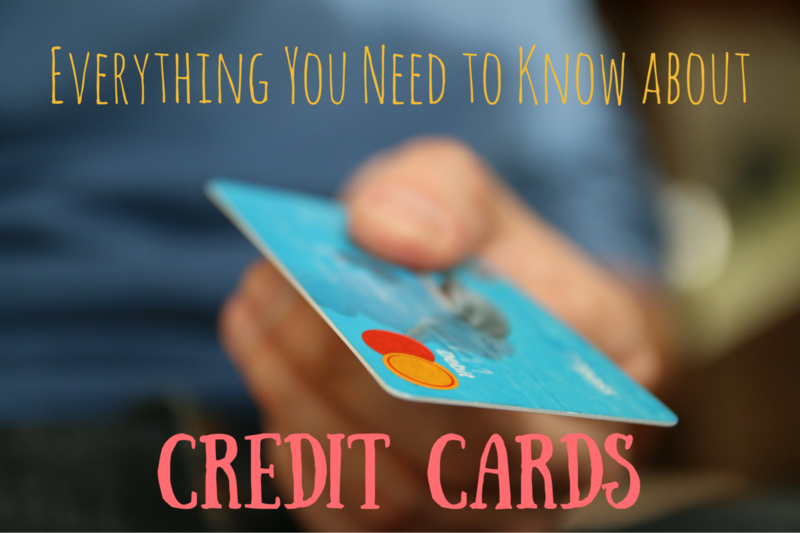 I’ll show you everything you need to help you understand how credit cards work and how to use them. A credit card is simply a type of financial account that allows you to take a small, short-term loan from a bank. It is referred to as a credit card because when you use it, you are actually using the bank’s money to make a purchase. So the bank applies a “credit” to your account in order to cover the purchase and then you promise to pay them back later based on the terms of the agreement. Like all loans, there is a certain amount of interest that you agree to pay the bank for the privilege of using their card. However, the one unique thing about credit cards is that if used wisely they can be an interest-free loan. In order to never pay any interest on your credit card, you need to pay your bill in full every single month. We’ll take a look at exactly how to do that below. You know the terms and agreement that you are supposed to read before creating a facebook account or iTunes login? You know how you never read them and just click accept? Please, for the sake of your future, don’t do that with credit cards. Almost all cards work the same way and have very similar terms and agreements. But you need to pay attention to a few key points in these terms before you sign up and after you are approved. There is a lot of information in the full terms and agreement for the card. And honestly, most credit card companies full terms and agreements will be very similar. I recommend reading through at least once the full terms for a credit card so that you get an idea of what they say. That being said, there are a few items that you need to pay particular attention to. Use this list every time you get a new credit card to be sure you understand what you’re signing up for. If you don’t know all this information about the cards you currently have, now would be a good time to find out. Annual Percentage Rate For Purchases: This is the amount you will pay on your purchases based on a yearly basis. See the section below on how credit card companies make money to understand how this affects you. But if you follow the 10 commandments, you won’t have to even worry about what this number is because you won’t be paying it. Closing Date for Billing Cycle: The two dates you need to pay attention to are the closing date and the due date. The closing date marks when the cycle for grouping purchases together is over. For instance, if your closing date is on the 4th of every month, that means that all purchases made between August 5th and September 4th will be on one bill. 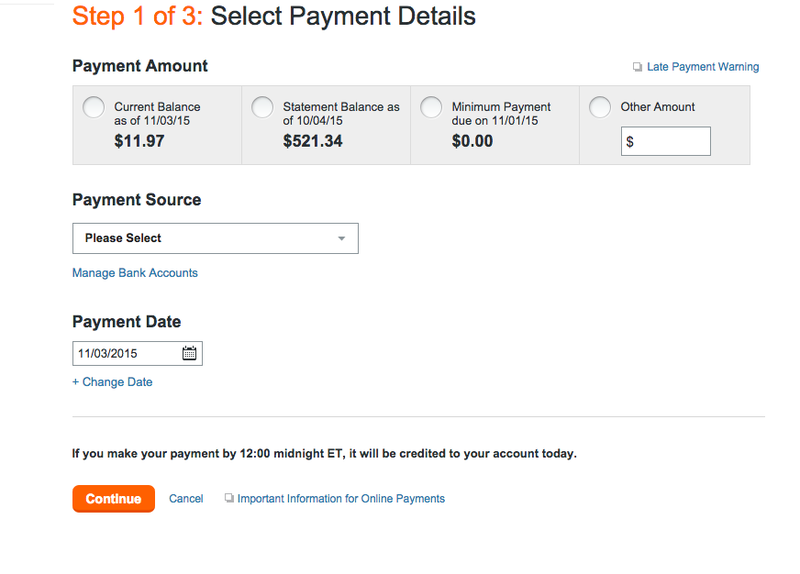 The Due Date: This is the date when you need to pay your bill. For instance, if your due date is on the 1st of every month, that means for the billing cycle between August 5th and September 4th you would need to pay that bill by October 1st. Penalties for Late or Missed Payment: This is a fee that will be charged if you are late on a payment or miss a payment. For instance, my Citi Thank You Premier card has a late payment fee of $35. I definitely don’t want to pay that and I also don’t want the ding that late payment would do to my credit score. Annual Fee: Always be sure to check if your card has a yearly fee. I recommend against cards with a yearly fee, unless you are gaining more cashback from that card (after the fee) than you could receive on another card for the same purchases. But that is very rare. Most of the time, just don’t get a card that has a yearly fee. It’s almost never worth it. Cash Advance Fee: Some cards will let you get a cash advance when making a purchase without a fee while others will often charge you a percentage of the cash received. Be sure to never get a cash advance on cards that charge a fee for this. Special Terms or Bonuses for Account Opening: Often times cards will have sign-up bonuses if you meet certain spending requirements. Be sure to always pay attention to these and if you are trying to get the sign-up bonus, pay specific attention to the deadline dates. Many people sign up for the credit card because of the bonus, but then never get it because they forgot when the due date was. Special Terms for Cash Back Rewards: There are many cards like the Discover it and the Chase Freedom that have rotating cash back categories. You must pay attention because they often require you to sign up every quarter online in order to actually get the cash back bonus. When I got my first credit card I knew that I was supposed to pay in full in order to avoid interest, but I had a really hard time understanding how to do that. I got really confused on how the billing cycle worked. So I want to take some extra time explaining this because the credit card companies don’t explain it in words we can understand. Credit cards work on a monthly basis. But that doesn’t mean you have to pay for what you purchase by the end of that month. Pretend I have a card that has a statement end date on the 4th of every month and a due date on the 1st of the month. Then let’s say I go out to eat and spend $17.00 on August 6th. That $17.00 charge will be on my statement for August 5th – September 4th. On September 4th, I will receive an email from my credit card company that says my statement is ready. That bill statement will show all of my purchases from August 5th – September 4th. Then that bill will be due on October 1st. This means that I don’t have to actually pay the credit card company for my $17.00 dinner until almost 2 months after I went out to eat. This may be common sense for many, but I remember being extremely confused because no one ever explained it to me. Since my payment due date was on the 1st, I thought that I would need to pay for my $17.00 dinner from August 6th by September 1st in order to avoid interest. If I paid the credit card company for all of the purchases between August 5th and September 4th by October 1st, they would not charge me any interest. I would effectively be getting a 1 & 1/2-month interest-free loan. If you hear someone talking about paying their credit card bill “in full”, that’s what they are talking about. This is how you want to use a credit card. You always want to make sure you’re paying the bill in full. Another issue that I had when I got my first credit card was understanding the website. While all credit cards will have different websites, they will all have the same basic information. The things you need to pay attention to are the recent transactions, pending transactions, view statement, make a payment, and any cash back or rewards. If you look at the home screen you can see a few of these items that can be easily found. As you can see the current balance on the card is $11.97, the previous statement ended October 4th, 2015 and was due on November 1st, 2015. The minimum payment due currently says $0.00 because I have already paid the full statement balance by the due date of November 1st. 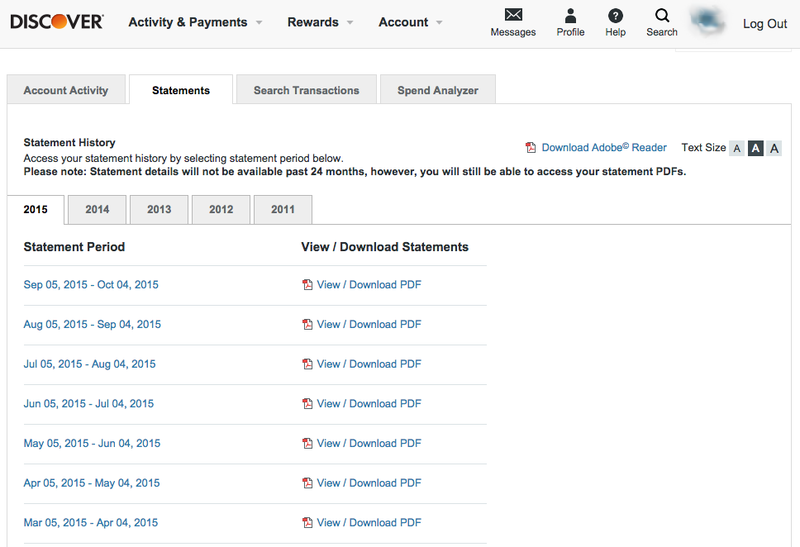 You can also see a drop down for pending transactions and recent transactions. The recent transactions is a list of all of the most recent purchases made against that card. This is especially helpful if you are trying to remember what you bought or are checking to see if there are any fraudulent charges. For my Discover it card, this area looks like this. This is a great reference to be able to go back and see where you are spending your money. The pending transactions is similar to the recent transactions except these transactions have not been fully processed. Typically these transactions have occurred in the last 2 – 3 days and are still in the process. Sometimes weird amounts will show up under pending like when you get gas. But don’t be alarmed unless a store shows up that you know you didn’t shop at. Typically that odd amount (known as a hold) will go away in a couple of days when the real amount is processed. As you can see above there is a pending transaction for a Shell gas station of $1.00. That is just the hold amount that the gas station places on the credit card. In a couple of days, that transaction will move down to recent and will be around $20.00, or whatever it was that I paid for gas that day. No matter what credit card you have, there will always be a view statement option. This will allow you to choose a specific statement based on the dates you’re interested in. You want to be sure you look at the statement and pay attention to all of the transactions on it. Like I said earlier, as long as you pay the total amount of the statement balance by the due date, you will not be charged interest. All credit cards will be a little different as to how far back in your history you can look. 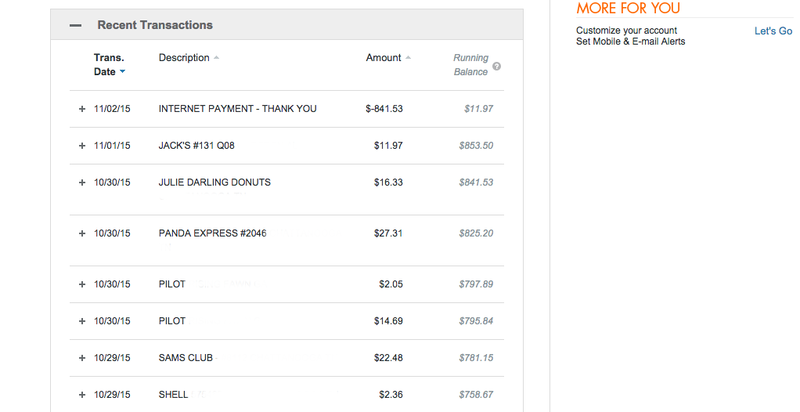 As you can see, my Discover card statements go all the way back to 2011. Another confusing thing is what to choose when you are trying to make a payment. There are always different options and trying to figure out which one you need to do can be confusing. Usually, you have four different options for making a payment. You can pay the current balance, pay the statement balance, pay the minimum payment, or choose some other amount. Typically if you plan to just pay against your card one time per month you want to choose “pay the statement balance.” This will ensure that you never ever pay any interest. The other options like pay the current balance and choose other amount are to be used when you are already paying the full statement bill, you just want to lower your current balance. 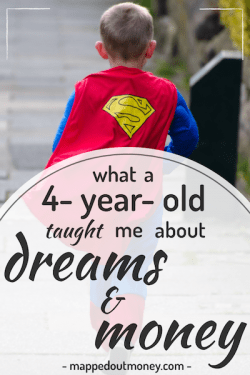 Sometimes you might want to lower the current balance because you know you’re about to make a big purchase. Or you might want to lower your current balance because that low balance helps improve your credit score. Either way, you always want to be sure you’re paying at least the statement balance in full every month. As I said earlier, the minimum payment due is $0.00 because I have already paid for this month. But typically that minimum is $25 on my Discover it card. The last thing that you want to pay attention to is your cash back or rewards. Depending on the credit card these rewards can be earned and spent in a lot of different ways. Specifically with the Discover it card I can either take the cash back as a statement credit, shop directly on Amazon, donate it, shop on the limited items in the Discover store, or use it to get a gift card. Each credit card has its own system of rewards and each card has multiple ways to redeem rewards and some rewards are higher than others. 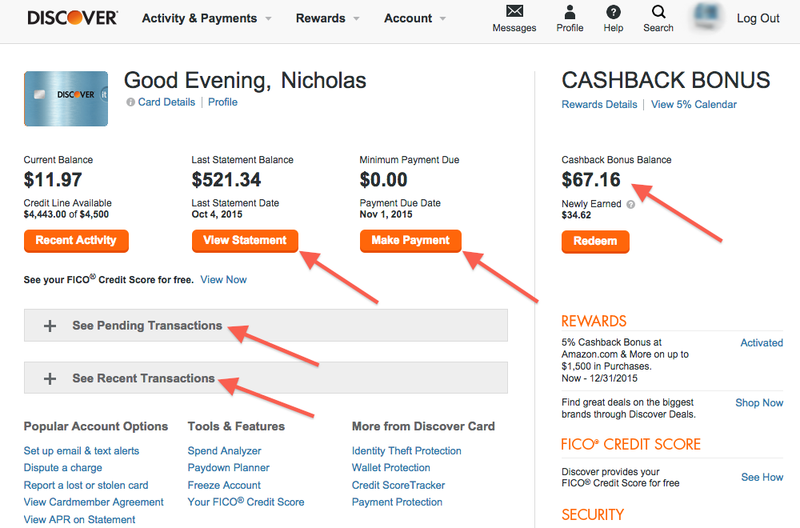 For instance, below you will see that I currently have $67.16 of cash back on my Discover it card. If I take this as a statement credit or use it to shop on Amazon I will have exactly what it says, $67.16. However, if I use the cash back to get a gift card, like LL Bean, I can actually get more cash back than just the $67.16. 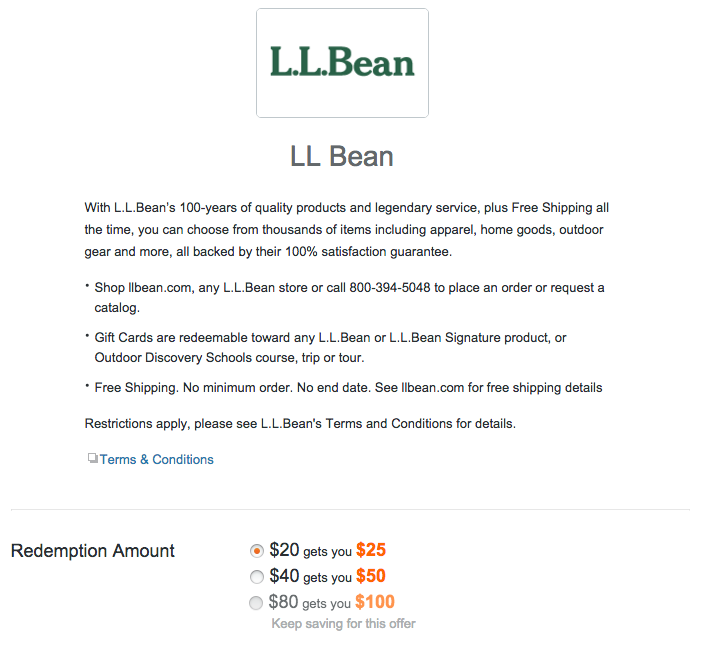 Each gift card is different on Discover, but for an LL Bean gift card (which is where my wife loves to get boots from) has 3 different options. 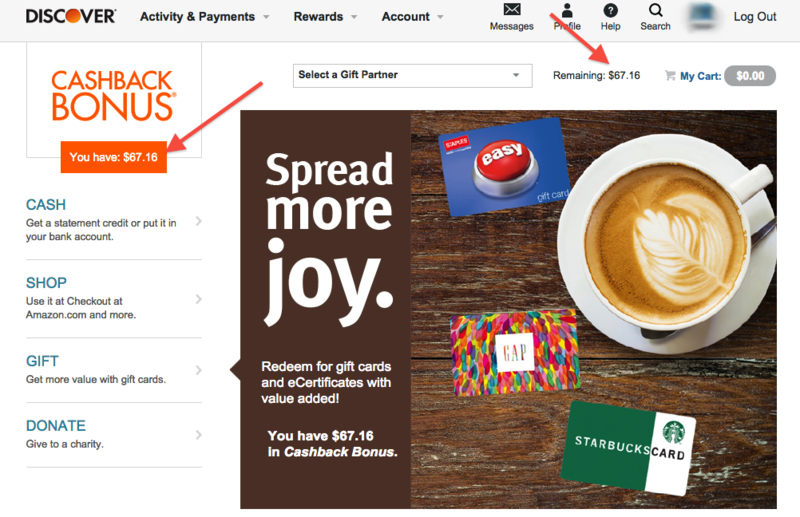 You can use $20 of cash back to get a $25 gift card, $40 to get a $50 gift card, or $80 to get a $100 gift card. As you can see this is a much better option than just taking it as a statement credit. So if you plan on shopping somewhere anyways, regardless of cash back or not, you should probably check on your options with your credit card rewards. You might get more bang for your buck than just using it on Amazon or as a statement credit. Credit card companies make their money in a few different ways. Credit card companies make a lot of money by charging annual fees, overdraft fees, late payment fees, and cash advance fees. You should never have to pay any of these fees. (In a very few cases the annual fee can make sense, but not in most). Basically, you should cut up your credit card right now if you are regularly paying any of the fees listed above. There is no reason you should be paying these. 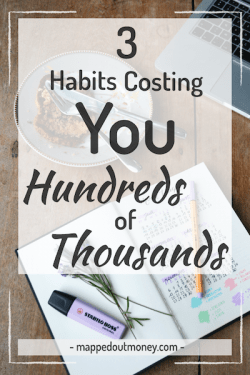 It simply means you are managing your money poorly (no pun intended) and need to stop. Credit cards make lots and lots of money by charging you interest. Again, the only way you should ever use a credit card is if you are paying your balance in full every month. The majority of credit cards on the market have interest rates that average about 15%. That is a ridiculous rate! If you are carrying a balance on your credit card ever, you cannot handle a credit card. 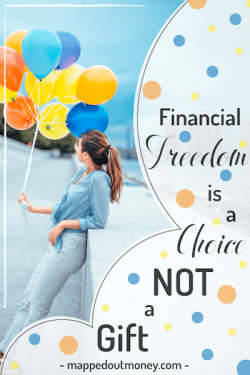 You will never reach financial freedom while carrying credit card debt. The other major way these companies make money is by charging the store where you buy items a fee that is a percentage of the items sold. Typically you can bet that the credit card company is receiving 1% -4% of the purchase price when you buy. If credit cards can cost you so much money why do people use them? Credit card companies provide a buffer between the purchase and your actual money. Credit card companies are extremely good at handling fraud and often times you are not responsible for any unauthorized use of your card. Unlike using a debit card, when your credit card is used fraudulently it is a fairly painless process to get everything reversed and issued a new card. Many cards offer extended warranties on products. You will need to check the fine print on your specific card. But it is fairly common for credit cards to extend the manufacturers warranty on many items. Cash back and rewards. Obviously, this is a major perk of credit cards. If used responsibly credit cards can be very lucrative for the often hefty sign-up bonuses and cash back rewards programs. Heck, just earlier this year I even bought an HD TV with cashback from a few cards. Credit cards build your credit score. I won’t cover all of the nuances of credit scores here. But basically having various types of credit and loans that you pay regularly and on-time helps boost your credit score. 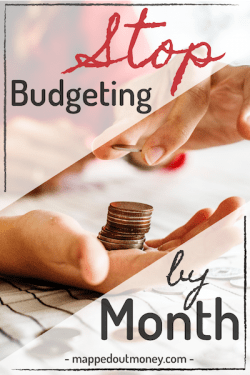 This becomes very helpful when you are trying to get a mortgage on a house or even just putting down a deposit for utilities at your apartment. Unfortunately for most people, the disadvantages of credit cards outweigh the advantages. Credit cards are extremely dangerous when left in the wrong hands. It has been proven by multiple studies that the majority of people actually spend more when they use a credit card as opposed to cash. If you’re that type of person, any rewards you get from your spending will be offset because you’re spending more than you normally would. If this is you, you don’t need a credit card. However, I believe that if used in the correct way, you won’t spend any more with a credit card than you would with cash. The terms are often confusing and it feels like the credit card companies are out to get you at every turn. There are all sorts of fees and if you’re not careful you’ll end up paying way more because you didn’t read the fine print. Most of the time, credit card companies are not your friend. If you carry credit card debt you will kill your finances. The average American household has $16,140 in credit card debt as of October 2015. You will never become wealthy and financially free by spending more than you make. And that is exactly what the majority of people do with credit cards. If you’re over the age of 18 and have an income, you can likely get approved for some type of credit card. If you are looking for your first card, I would highly recommend a nice rotating cash back card that doesn’t have an annual fee such as the Discover it or the Chase Freedom. 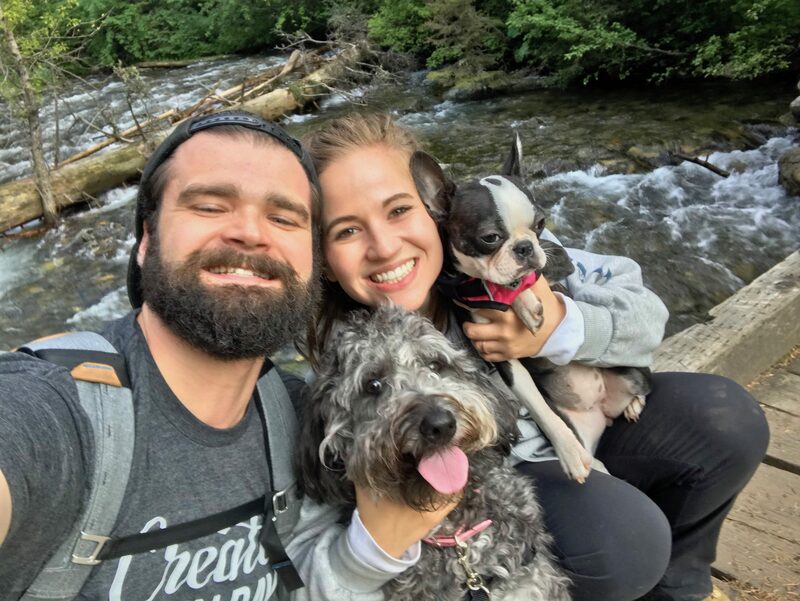 The Discover it is my personal favorite because they have had a history of excellent customer service, they have good rotating cash back categories, and they provide me with a free FICO score every month! In order to apply just go to https://www.discover.com/ and apply for the Discover it card. If you have a low credit score or no credit score it will be a little harder to be approved and you will likely have a very small credit limit. But that’s okay. Just start making small purchases and paying the bill in full every month. Eventually, you will raise that credit score and can start taking advantage of advanced credit card uses. But seriously. Credit cards can be extremely dangerous. They’ve ruined lives because people can’t control themselves. If you can’t pay off your credit card in full every single month, year after year, you don’t need one. Many financial experts will tell you to avoid credit cards altogether and to never ever get one. They assume that you will be irresponsible and won’t be able to control your spending. I believe that for most people they’re right. Most people can’t handle credit cards. And because of that, I would advise the majority of people to cut them all up and never use them. But if you can commit to only using the credit card for purchases you were going to make anyways and always paying the bill in full, I think credit cards can be a great way to pick up some extra cash. You need honestly ask yourself if you can handle the responsibility that comes with using a credit card. If you can’t, please do yourself a favor and shred those cards right now. That will be the first step on your way to financial freedom. To wrap up, I want to leave you with the 10 Tightwad Credit Card Commandments. If you decide you can handle a credit card make sure you adhere to these commandments. If you can’t, you’re not responsible enough to use a credit card. Plain and simple. Use these as a guide to decide if credit cards are right for you. Ultimately credit cards are a tool to be used. They can be used for evil or for good depending on who’s in charge. The bottom line is to know yourself. If you can’t handle credit, that’s okay. Just be willing to admit it, don’t use it, and move on. You’ll be better for it. Please let me know in the comments below your own thoughts on credit cards. I’d love to hear about your experiences and how they’ve helped or hurt your own life! Don’t forget, be sure to sign up for my newsletter to get extra tips on becoming financially free!